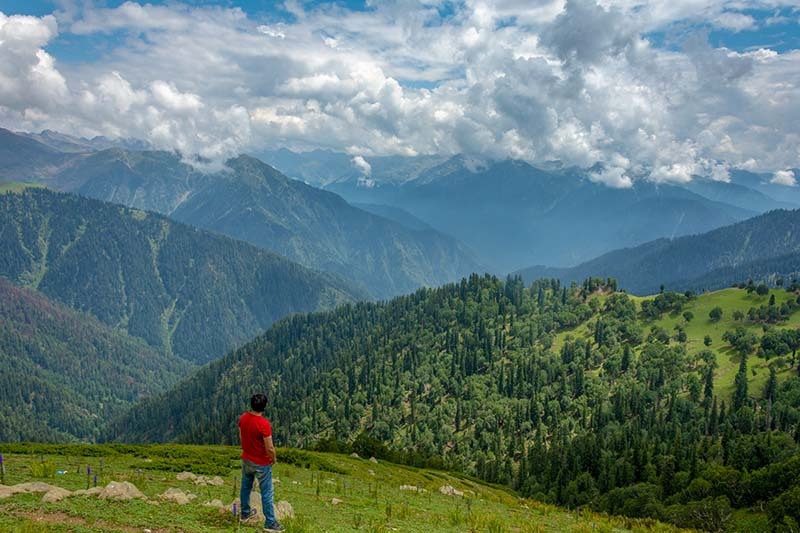 This post is in continuation with a previous one; and a part of my Kashmir Travelogue. Details below are of our 8th day of the trip. 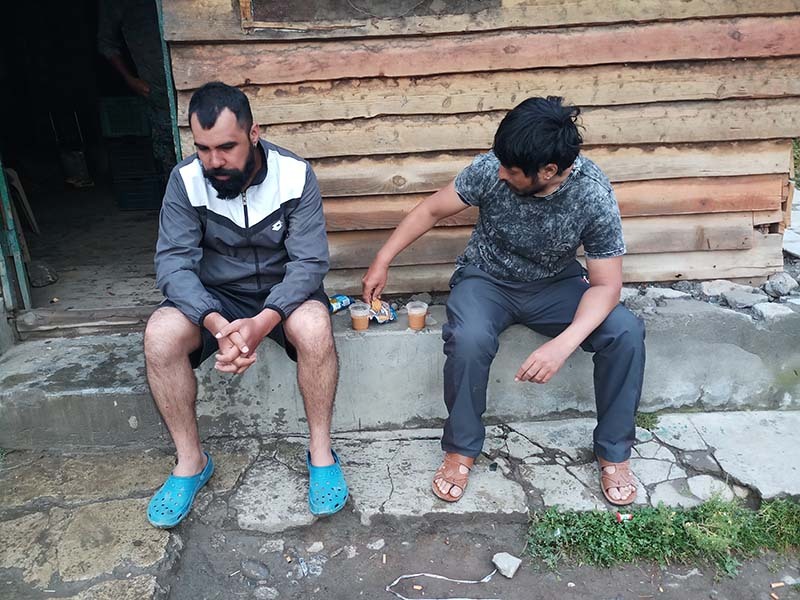 We had arrived in Gurez on Day 6 of our trip; spent day 7 here exploring the valley till the last point the civilians were allowed; and returned from Gurez Valley to Srinagar on Day 8. Details of this journey are described in the post below. In order to read previous parts of this travelogue, please click on the link below. I remember something that Shoaib said that morning and I kind of still remember it. As we were getting ready, he said “ab hua safar-e-vaapsi shuru” which was very true indeed. Though we had a day more left, our trip in a way was already over. From here, we were just going to travel back to Srinagar via the same road that we took to get here; and then we would fly back to Delhi from there. So yes, in every way, we were now going to start our return journey home. But before that, there was still one more place left to visit. Like previous days, Lavish and I were the first ones to get up and stepped out in search of a cup of tea. We knew there was only one place where we could get it at; the Army wet canteen. And that is where we went. Neither of us was in a hurry that morning. 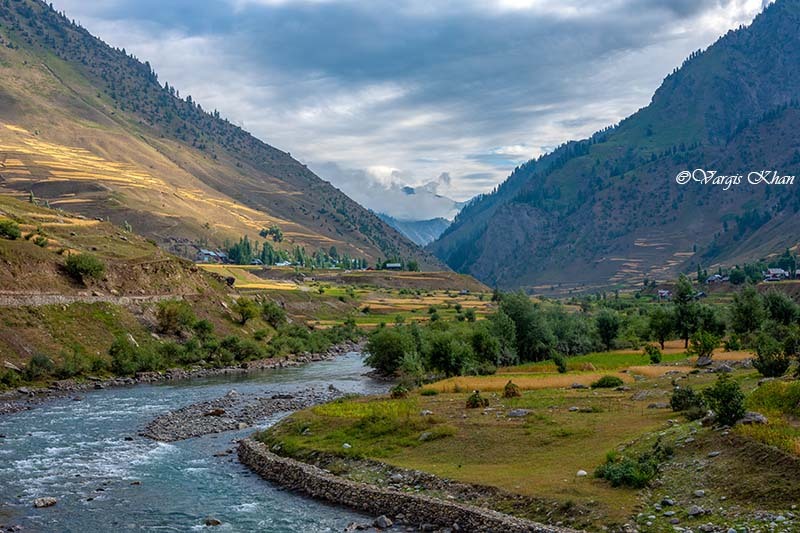 Dawar to Srinagar was 6 hours at most and there were no other plans for the day so we took our time that morning; spending the last couple of hours leisurely in Gurez valley. Shoaib had this crazy idea the previous day to cover Sonamarg while going back to Srinagar. 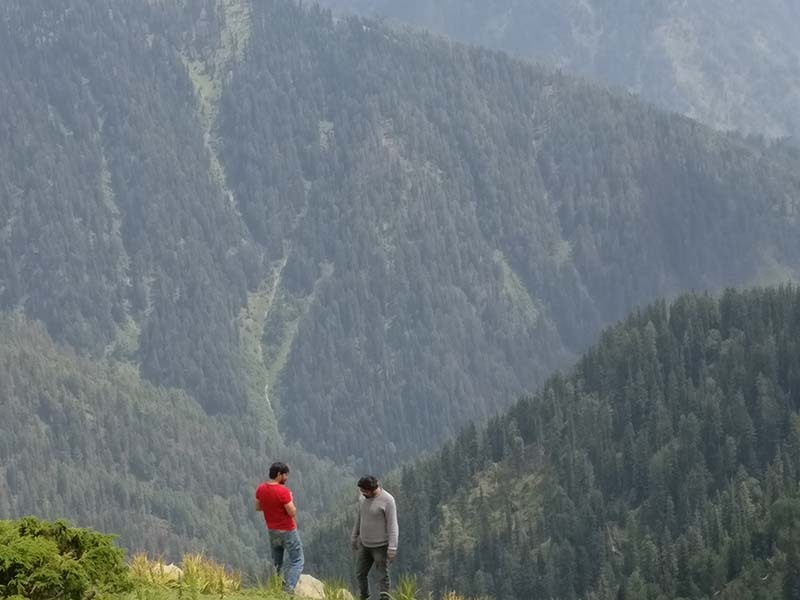 He wanted to go to Sonamarg from Gurez, spend some time there and then backtrack all the way to Srinagar. This was doable but would have involved the entire day spent on riding around on motorcycles; which, considering the extremely bad roads, neither Lavish nor I were keen on doing. 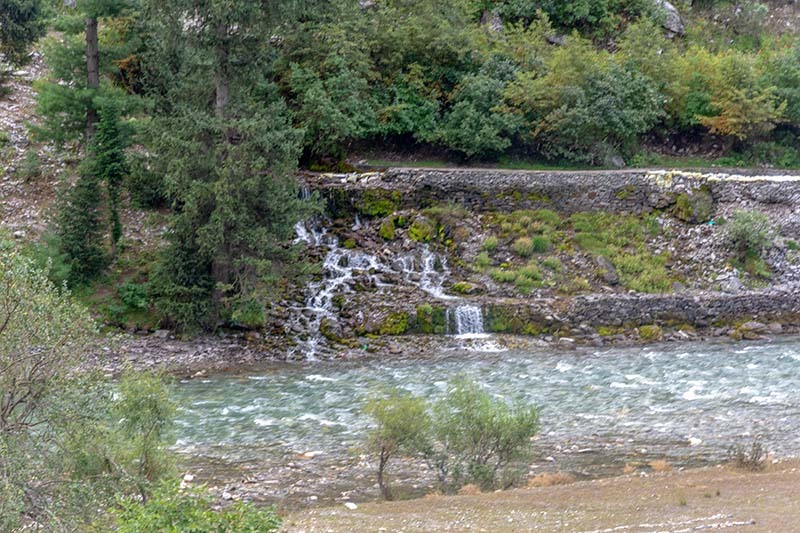 So that plan was dumped in favor of a relaxed morning and easy start from Gurez valley. 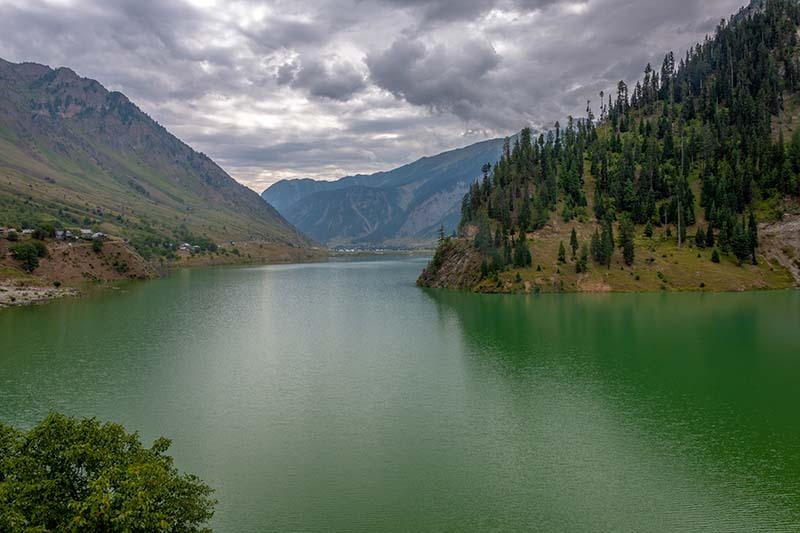 There was just one place left to visit in Gurez valley, “Habba Khatoon ka Chashma”. I wasn’t even sure what it really was to be honest. A few people said that it was a waterfall while some others said it was just a stream of water emerging from the mountain. Whatever it was, we wanted to cover it as well while we were in Gurez. 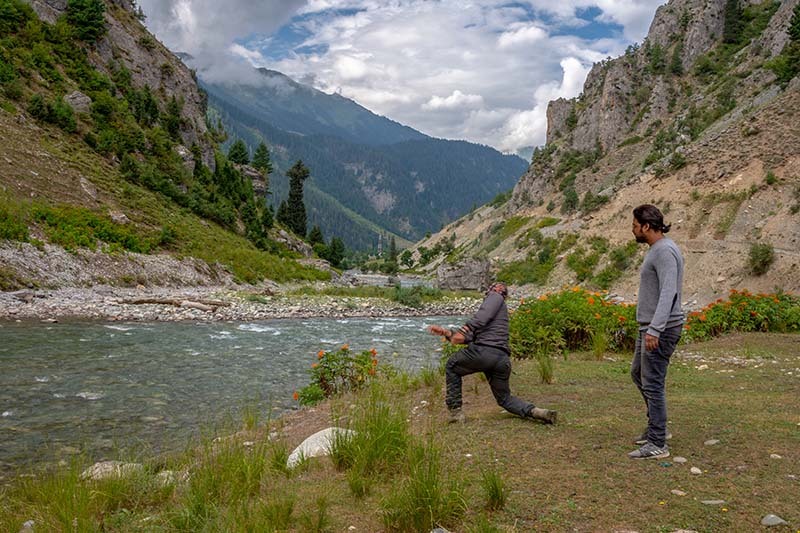 We went back to the hotel, got Shoaib out of the bed, packed up our stuff and checked out One thing I liked about Hotel Kaka Palace was that its owner, a guy called Younis Khan, tries really hard to promote tourism in Gurez valley. What he does is to record a brief video of every guest that he caters. 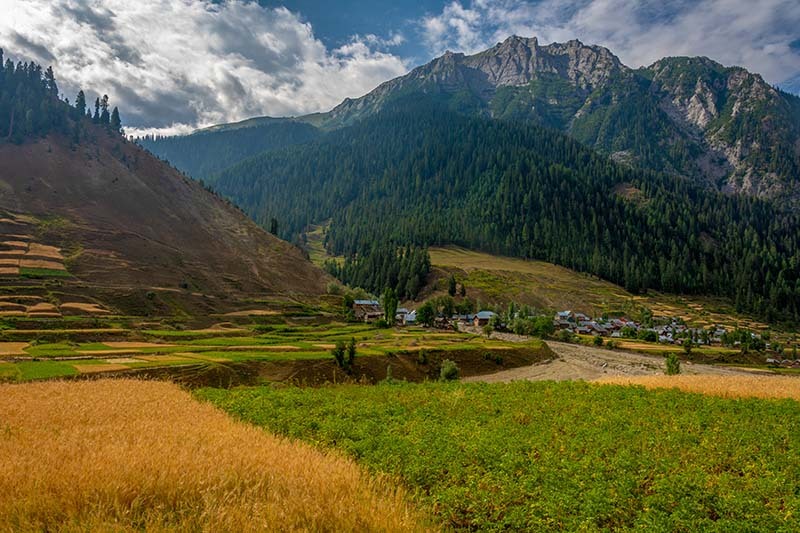 He will have his guests talk about their visit to Gurez, how they liked the placed and would they recommend it to others. Later, this video will be uploaded to an FB page that he runs of his hotel. I don’t know if it makes any difference but no matter how small, it still is an effort to promote tourism to a rarely known part of our country which I really liked. Same routine was followed with us as well. He had us stand in front of the camera on our bikes with his hotel in the backdrop and recorded a short video. In the video, I talked about how beautiful and great Gurez valley is; and how everyone visiting Kashmir should come this way. After the recording ceremony, we started on our way to Habba Khatoon ka Chashma which is barely 10 minutes of ride away from Dawar. And what a great disappointment the so called “Chashma” turned out to be. It was far from being a waterfall. Just a little tiny stream of water coming out of the mountain. I will post a picture. That is it. That is all the so called waterfall was. The only thing we saw was a few guys from the Army washing their underwear in it. We decided to ride a little further. The road ended a couple of kilometers after at a small but beautiful village. Actually the road did not end there but we were stopped at the check post. Civilians weren’t allowed to go any further that that check post. Lavish and Shoaib decided to play the old game of “make the stone float on the water”. 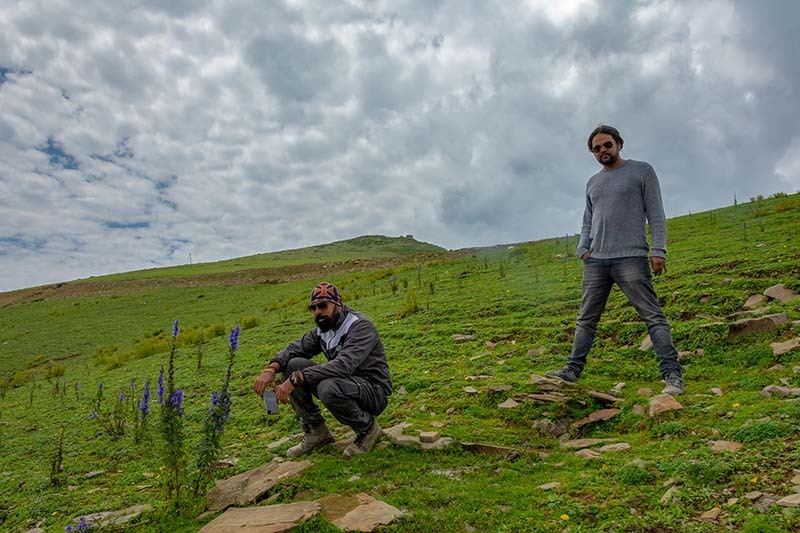 We roamed around and spent another hour in Gurez. Soon the clock showed about 10 AM and it was now time for us to start on our journey back. 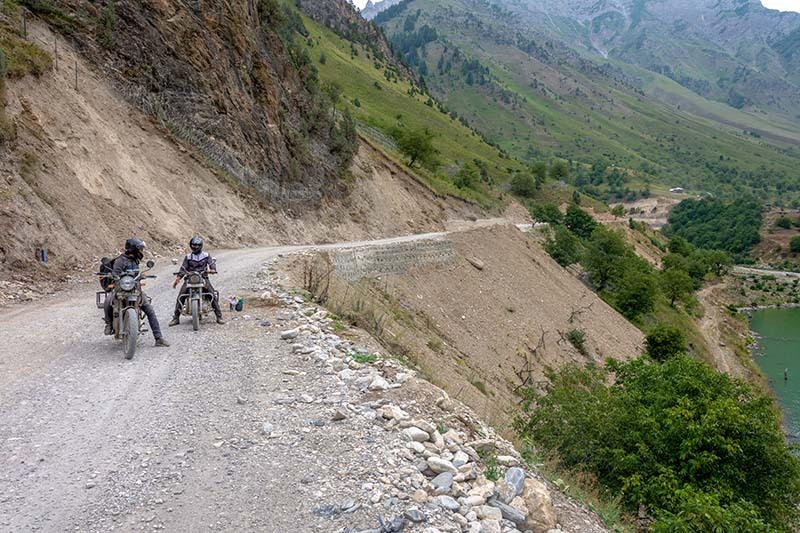 We stopped at Razdan Pass for some more pictures. We finally made it back to our hotel in Srinagar at around 4 PM. Our agenda that evening was to roam around in Srinagar and enjoy some local places. 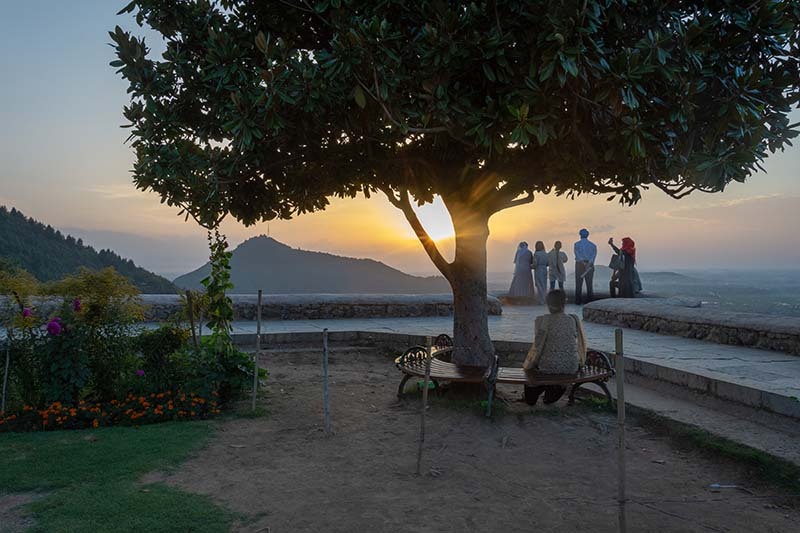 The first one on our list was Pari Mahal. 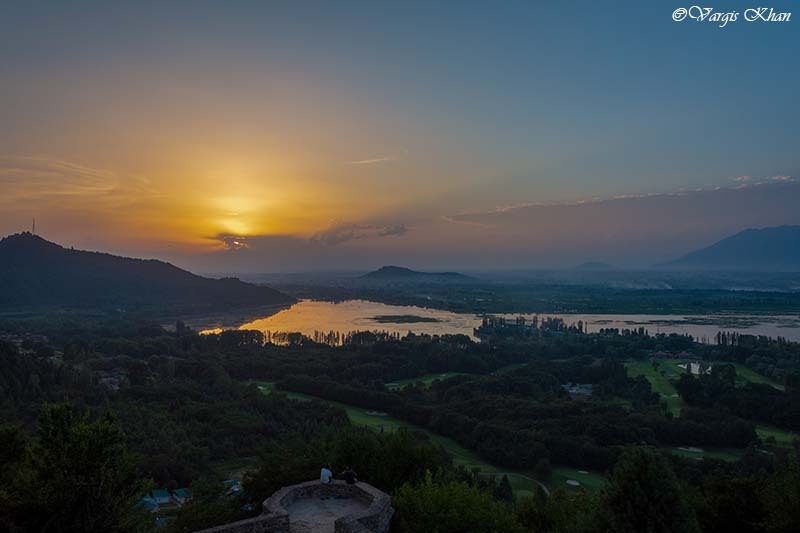 I was told that it was one of the best places to catch a sunset view in Srinagar. So after resting for a while, that is where we first went to watch the sun go down. Next stop was Challi point near Dal Lake; where we enjoyed some delicious Kababs. 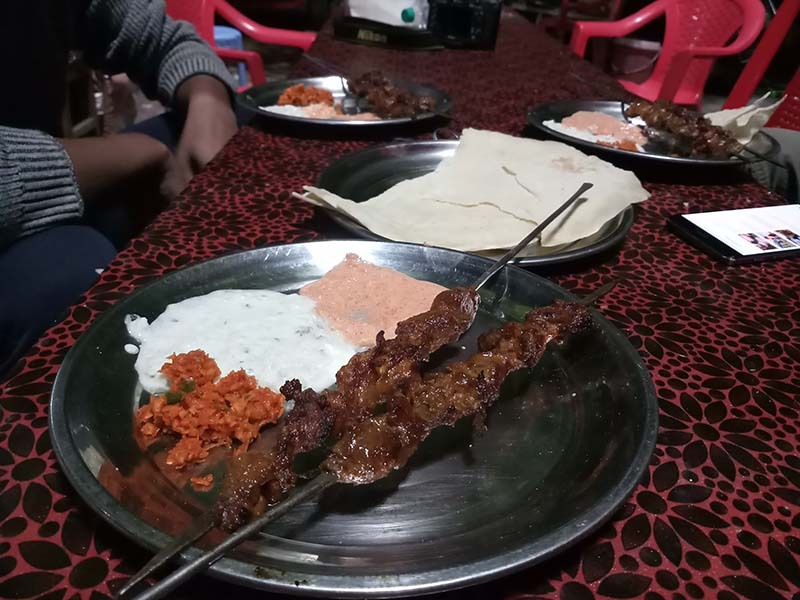 This place is like the central kabab point in entire Srinagar and I will highly recommend eating out here on one of the evenings. After that we just rode around Dal Lake looking for something to buy; small souvenirs that we could bring back home. On advice of a local, we went to Dal Gate and bought some items from a pedlar there. After shopping, we just sat around the lake for a little longer and arrived back at the hotel. 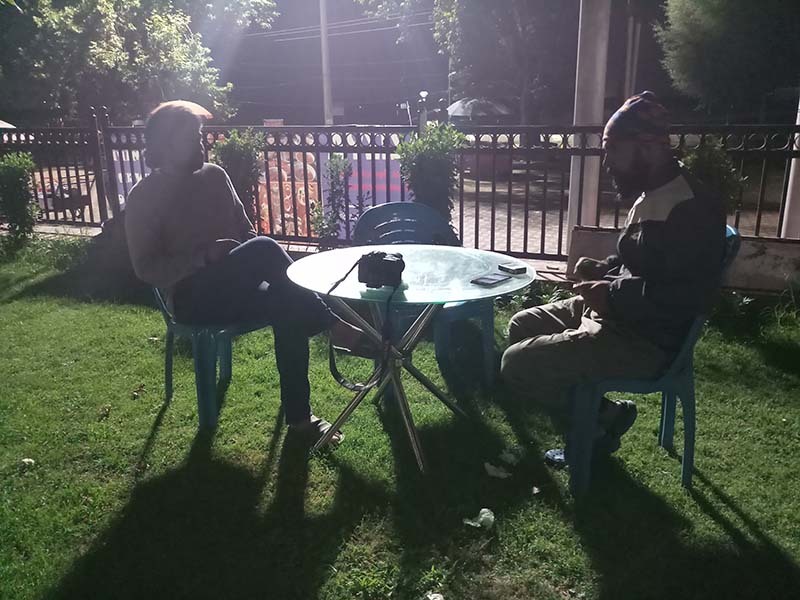 This was finally going to be our last night in Srinagar and end of a remarkable trip; one that was going to remained etched in memories forever. Tomorrow, we were to catch our flight back home. And with such sad thoughts we went to sleep. Trip was fun and we already had our plans made for our next journey to Kashmir. I hope this article and the previous ones were of help. 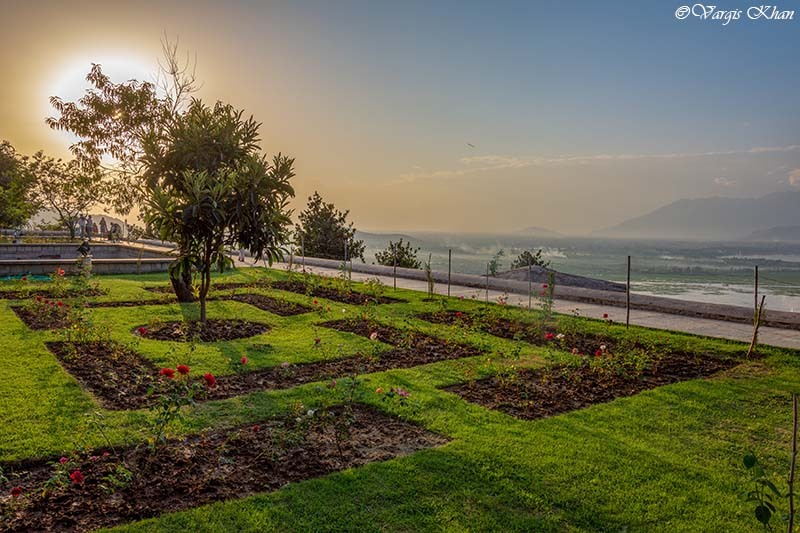 If you have any questions; or need my help with your trip to Kashmir; please feel free to ask in the comments section below; or at our Community Forum; and I will be glad to answer.